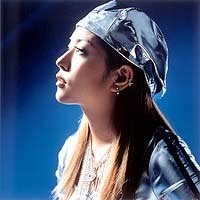 BoA was one of the first Korean singers to make it in the world of J-pop. But first some background as to why that was such a breakthrough. The Korean peninsula was colonized by Japan for most of the first half of the 20th century. The Japanese language and aspects of its culture were imposed on the Korean people - even the spelling of Korea was changed by the Japanese (previously it was spelled Corea). As a formerly oppressed people, it is perhaps understandable that the Korean government banned Japanese popular culture for decades following liberation after World War Two. The two countries maintained a bitter rivalry, with Korea always playing catch up with its richer and more developed neighbor. Ethnic Koreans make up the largest ethnic minority in Japan. A great many of these so-called "zai-nichi kankokujin" were born and raised in Japan, but are still considered outsiders and often face discrimination. So when it was decided that the rival countries would be co-hosting the 2002 World Cup, it was seen as doomed to failure by many. But it was also seen as a golden marketing opportunity by some. Korean singer BoA made her CD debut in her home country in August 2000 at the age of 13, and was an immediate hit. Six months later she attended a "debut convention" in Tokyo, an event covered by 1,000 members of the world media. Shortly after, she made two TV commercials and released her Japanese CD debut in May 2001. Her powerful vocals and energetic dancing on ID; Peace B fooled a lot of people into thinking she was older than her fourteen years. Her good looks combined with a confidence beyond her years brought her a growing following among the influential teen market. This and her added potential in the Korean market made her an ideal choice for the Avex label, which had some of Japan's biggest stars but was not achieving the same kind of success it enjoyed in the late 1990s. BoA continued to release singles and make commercials until 2002's album Listen to My heart went straight to No.1 in the Oricon charts and became a million seller. This was of course during the huge hype surrounding the buildup for the World Cup. When it came to finding someone who could bridge the gap between the rival countries, BoA fitted the bill perfectly and she was one of the most visible faces on TV during that summer. The intervening years have seen a gradual thaw in Korea's policy regarding Japanese pop culture. There has long been a huge underground market for music and videos and the popularity of stars like BoA, TV personality Yoon Son Ha and actor Bae Yong Joon has helped bring the two peoples closer together. BoA's ability has been recognized outside east Asia, and she was featured as a guest vocalist on an album by Mondo Grosso and the Asian edition of an album by Irish boy band Westlife. In 2003, she became the first artist to release an original Japanese single at the same time in Japan and Korea, at the ripe old age of 16. Often compared to Jennifer Lopez, BoA seems capable of rising to the same kind of heights - she has a bright future ahead of her in two countries at least.